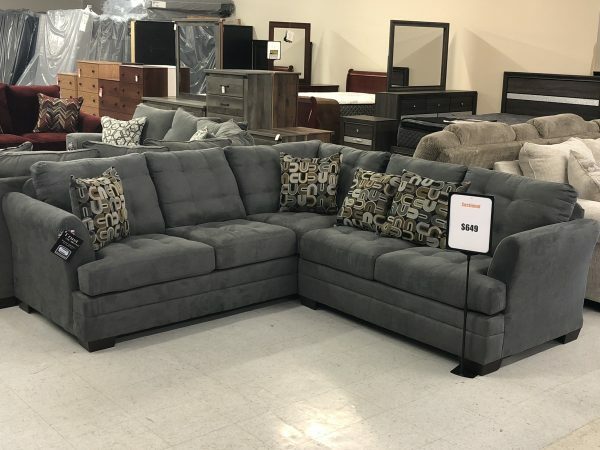 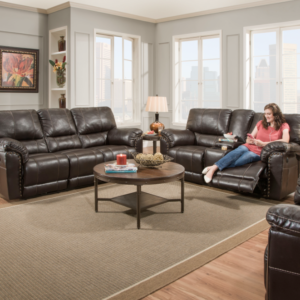 2057 sectional – $649 including the accent pillows. 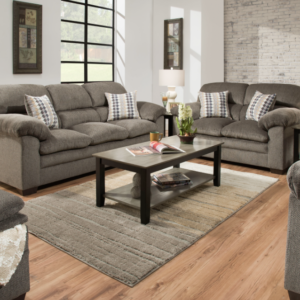 The 2057 collection offers a stylish modern look that will give your living room a comfortable and inviting feel. 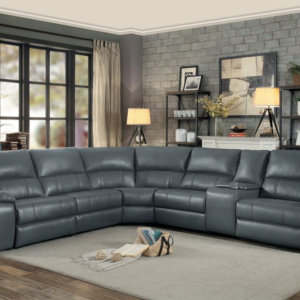 Versatile neutral upholstery, and clean contemporary lines mean that these upholstered living room furniture items will never go out of style.